Today, the 16th Ohio left their quarters at a cotton press in New Orleans and, in the evening, boarded the steamship John H. Groesbeck where they would spend the night before starting a new journey north to Alexandria, Louisiana. The regiment was assigned to provide reinforcements to General Nathaniel Banks who was being pursued by Rebel General Richard Taylor who, with a smaller but determined force, was pushing Banks east, back toward the Mississippi River. Banks was currently positioned in and around Alexandria, Louisiana, on the Red River, a western tributary of the Mississippi. 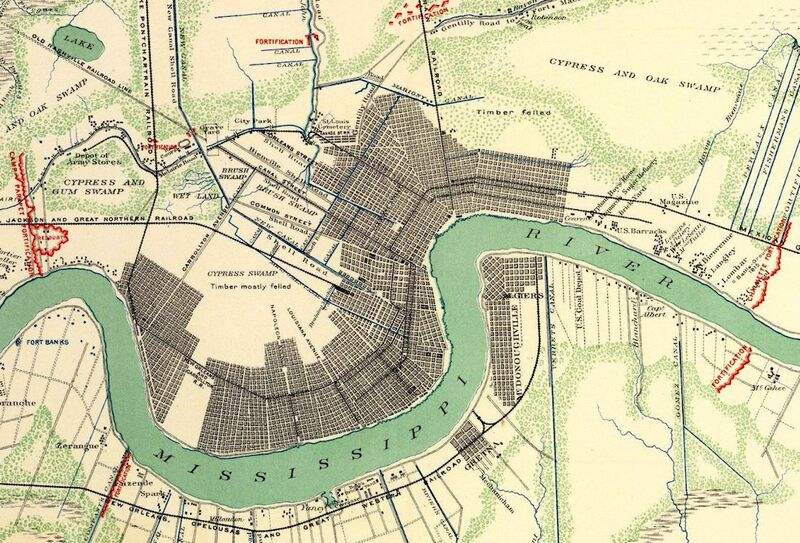 This period military map shows the New Orleans area as it looked in early 1863. The regiment marched through the city and boarded the John H. Groesbeck which would transport them north to Alexandria, Louisiana, the next day.